Now you don’t have to get left out of the Dressage Mentor community just because you only have dial-up. Thanks for all your emails telling me that you’d love to have access to the information on Dressage Mentor, but your slow Internet connection doesn’t allow you to watch the Hot Seats or any of the Training Videos. I understand how frustrating that can be (I used to have dial-up too!) so I’ve created a Special item for you just in time for the Holiday season. These are instantly downloadable MP3s. There’s NO waiting for anything to arrive in the mail! 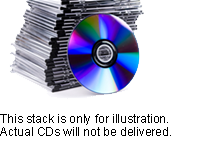 You can instantly burn your own CD on your computer, or you can download the MP3 files to an MP3 player, like an iPod. Sure you’ll get all kinds of information from these audios. But I know you can get this information on training and sports psychology from almost any good book. So what makes these audios so special? You’ll be getting the information not only from someone who has actually walked the walk as a coach at 3 Olympic Games, but also from a teacher who has the ability to dissect and present information so it’s easy to understand and use right away. You’ll literally be given the keys to the kingdom of the horse! What Do Your Legs and Reins Control? What Does Your Seat Control? How To Tell If You’re Doing a Good Working Gait? What’s the Difference Between Flexion and Bend? What is Free Walk and How Do You Get a Good One? How Does Dressage Benefit Every Horse? Is there Enough “Go” in Your Half Halt? Is Your Horse Really Connected or Is He Just Posing On the Bit? What’s the Difference between Contact, Connection, and Collection? What is Shoulder-in and Why Is It Useful? How To Get Your Horse To Think Forward? How to Know when To Start New Work and What To Do If You Meet Resistance? How to Know If You Should Ride Your Horse Low or Up? 3 Essential Things You Need to Know About Self-Talk so You Don’t Accidentally Sabotage Yourself. The 2 Things you MUST Do to Lead a Fulfilling Life? – Enjoy these lessons that I’ve learned from the horses in my life. These 73 audio sessions alone contain over 24 hours of information not only on coping with riding and training issues but also on managing all the stuff that life throws at us every day. When you order during this special holiday promotion, you receive ALL of these tips, tools, and strategies for just $297. Just think. If I came to your area and sat with you to give one of my 6-hour seminars, my fee would be $2,000. And you’d only get to hear the information once! This is like getting 4 seminars worth of my material that’s yours to listen to over and over-an $8,000 value! But that’s not all. I’m also going to give you 20 of my Expert Interviews. You get to eavesdrop on my chats with some of the Best of the Best in the business! That’s an additional 18 hours of information for a total of over 42 hours of Audios. 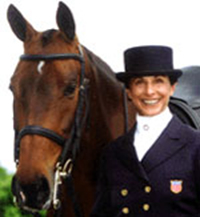 Lois Yukins-“S” Judge–What Do Dressage Judges Want to See? 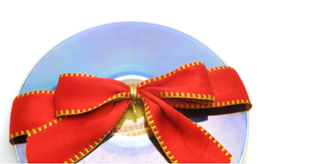 As a special Holiday Bonus, I’m also going to throw in the Audios from December. Expert Interview with Pam Stone-Comedian, Actress (from the hit TV series Coach) and star dressage rider! That’s an additional 5 hours of my best content…for a total of 47 hours of material! That comes to an amazing $6.31/hour! I went to do the work you suggested today not expecting to see a difference yet. I thought it would take ages and loads of practice but my horse really benefited from this in one session! I down loaded all of the lectures and listened to them on a 22 hour road trip. I listened to them over and over. I visualized the techniques as I drove. When I got back on my horse, I could hear Jane’s voice. (After 22 hours I could hear her in my sleep too!) It was like she was in the arena giving me a private lesson! …For a total of over 47 hours of training and information! …And you don’t need to wait for these Audios to arrive in the mail. You can claim instant access to all the material by hitting the Submit button below. You’ll be taken to a secure site where you can sign up and start benefitting immediately in your own home from the wealth of information on these Audios. And here’s the best part. If you like what you hear and decide you want to upgrade to a full membership anytime during the next 3 months, you can apply the cost of this package toward a 1-year subscription to Dressage Mentor where you’ll have access to ALL the Training Videos, Hot Seats, Ask Jane Questions, Articles, and the Forum. Yes, Jane, I can’t wait to have you “in my ear” as well as learn from all the other Experts.Email me the link for the Premier Dressage Mentor Audio Collection NOW! I understand that the Audio Collection is a digital product. I will not be receiving a physical product in the mail. The Audios are instantly downloadable MP3s. I can listen on my computer, burn my own disc, or download MP3s. I also understand that if I decide to upgrade to a full Dressage Mentor membership anytime in the next 3 months, I can apply the cost of these Audios to a 1-year membership, which means I’ll have access to EVERYTHING on the Dressage Mentor site. You must read and check the box above to continue your order.